The Foo Fighters have announced a series of dates for a 2019 tour of Europe. The band have revealed a three-show run in late June – with stops in Croatia, Denmark and Norway – as well as a pair of concerts in Ireland and Northern Ireland in late August. “Europe!!! Are you ready for 2019?? ?” says the group. News of the five-concert run follows previously-announced appearances at Germany’s Hurricane Festival and Southside Festivals in late June. Tickets for the new dates will go on sale on Friday, November 23 at 10am local time via the usual outlets. 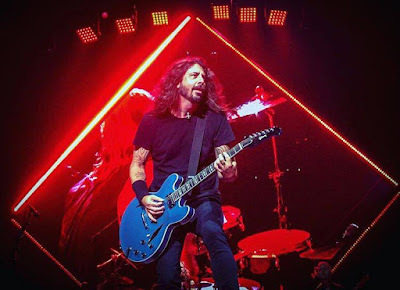 The Foo Fighters wrapped up their 2018 live schedule last month when they completed an extensive North American tour in support of "Concrete And Gold" in Calgary, AB on October 23. The group will next be seen as part of an all-star lineup of rockers honoring late Soundgarden singer Chris Cornell at the “I Am The Highway: A Tribute To Chris Cornell” concert event at The Forum in Los Angeles on Wednesday, January 16. Hosted by ABC-TV late night host Jimmy Kimmel, the tribute and charity show will feature performances from the members of Metallica, Soundgarden, Temple Of The Dog, Audioslave, Ryan Adams and many more.